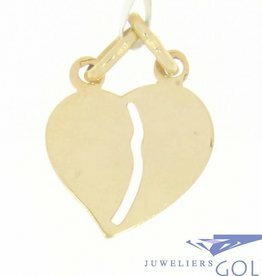 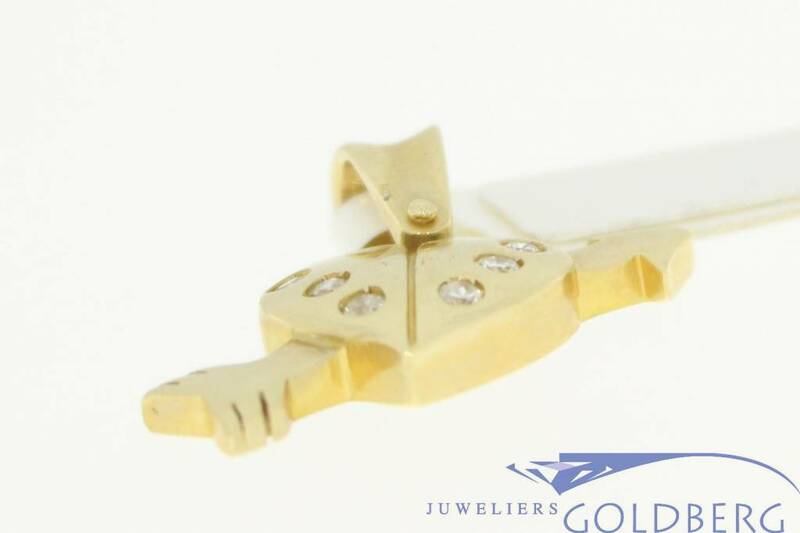 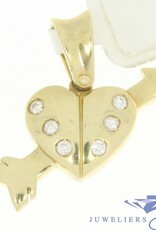 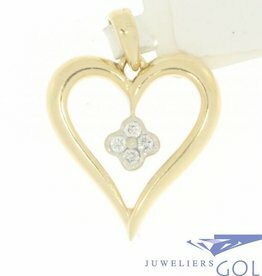 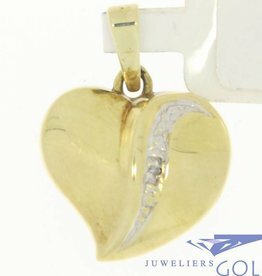 Very beautiful and lovely 14 carat gold heart shaped vintage pendant pierced by an arrow and embedded with 6 zirconia's. 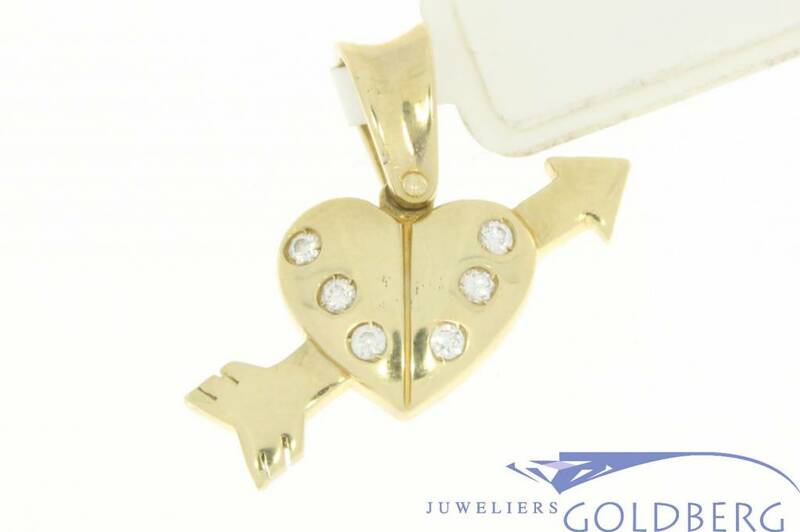 Struck by Love's arrow! 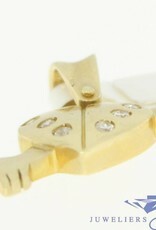 The lengt of the pendant (incl the eye) is 23,5 mm and the width is 24 mm. 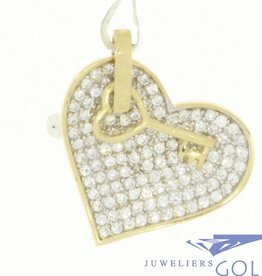 The jewelry weighs 4,1 grams.